Are you just a couple or are you friends? The Relationship Checkup is a brief 3 session intensive intervention for romantic couples. You will explore how you and your partner solve problems and manage conflict as well as celebrate the strong areas of your relationship. Intervention is specific and solution focused. The Relationship Checkup occurs prior to or as a component of couples therapy and marriage counseling. Stop the back and forth and get to the facts. I use The Gottman Relationship Checkup questionnaire early in the evaluation process to establish actions to help reach your relationship goals. The questionnaire consists of 408 questions that have been researched and verified as effective in the evaluation of relationship strengths and needs for improvement. The Gottman Relationship Checkup expedites the assessment process by automatically scoring answers for me to provide a straightforward and reflective analysis of your relationship’s strengths and challenges. From the scoring results provided, I can then provide specific recommendations for intervention and help you and your partner get to work. in a nut shell this means more effective sessions from the beginning which means more effective results. The goal of the Relationship Checkup is to help you rediscover your fondness and admiration for each other in neutral setting which heightens your ability to resolve conflict and move forward. Let's talk about why you're here. The oral interview is all about perspective. the goal is to have a 3-D vision of the relationship in the words of each partner. Individual and couples therapy interviews to verbalize concerns and establish desired outcomes. During interviews each partner has an opportunity to express their hopes, fears, complaints, desires, and goals for the relationship. Interviews are extremely beneficial to the process as they allow assessment of non-verbal interactions and communication styles. Session I also includes an orientation to The Gottman relationship Checkup questionnaire. 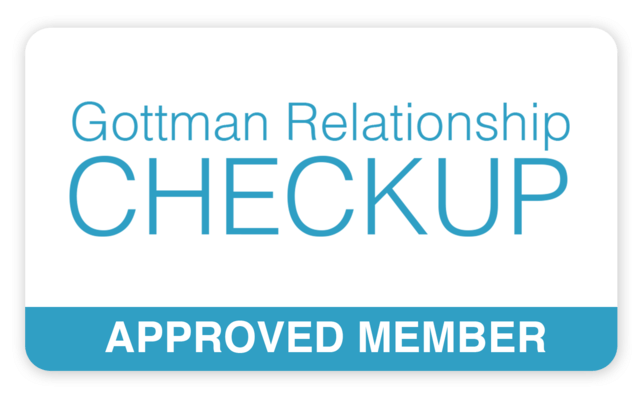 Both partners complete the 408 question The Gottman Relationship Checkup questionnaire independently of one another (approximately 1-2 hours). A personalized email link is sent to each partner . Once both of you have completed all questions your answers will be scored and provided to your therapist for analysis alongside the information obtained in your oral interview. Preview the questionnaire here. We know how we complement each other, NOW WHAT? Reflection. Reflection on analysis from previous session. Session III offers strategy development for moving forward. Now that you know the strengths and improvement needs of your relationship it is time to put that knowledge into actions. Areas of focus may include friendship, intimacy, conflict, and trust, as well as parenting, finances, and individual areas of concern. You will also determine the risk and benefits of continued therapy and whether or not your relationship needs it. Should you wish to pursue couples therapy following the analysis, you can continue working with me or I can provide several referral options that suit your needs and budget. There is no expectation that you continue therapy beyond the three sessions of the relationship analysis. 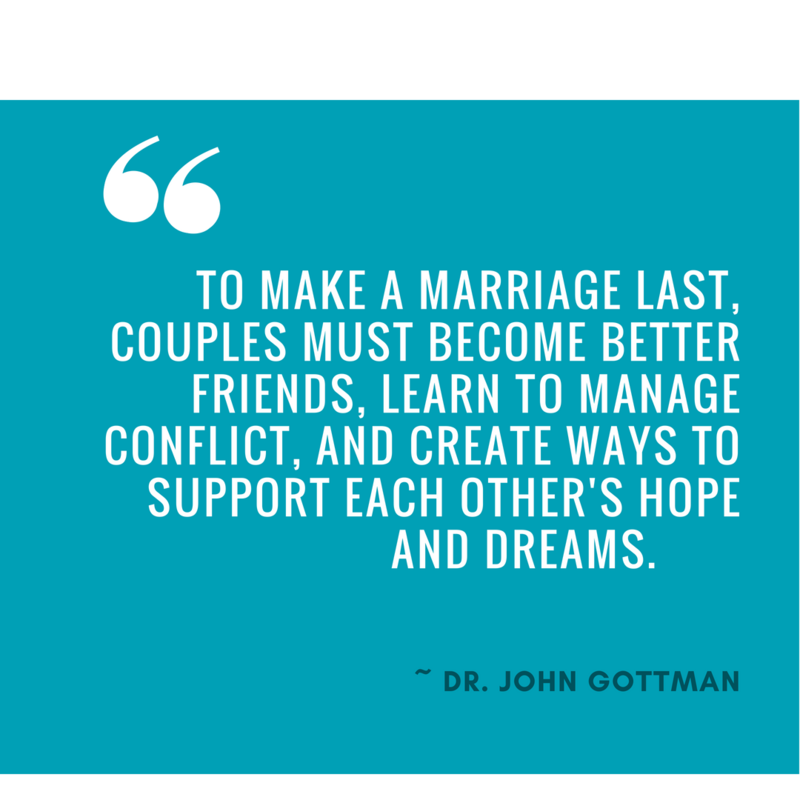 Other tested and verified Gottman interventions and techniques are utilized throughout the therapeutic process to assist in grown and togetherness.